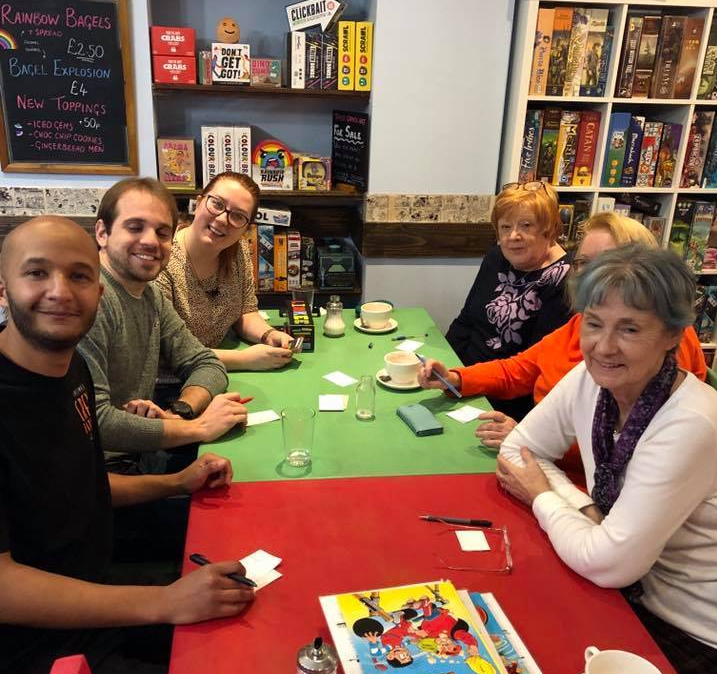 Liverpool Cares is a community network of younger (people in their twenties and thirties) and older (people aged over 65) neighbours hanging out and helping each other out, to improve the confidence, resilience and skills of everyone involved. It’s mutually beneficial. We do this because, although Liverpool is the best city in the world, the very changes that can make it such an exciting and dynamic place to live can also be isolating. If you don’t feel part of the changes, they can create a sense of alienation. Our free social clubs are a great opportunity for younger and older neighbours (aged over 65) to hang out and to share time, friendship and fun. This month’s clubs include a Swing Dance, a Pub Quiz, a Technology Workshop and a Global Scouse Day inspired Craft Club. We also have a Tequila Masterclass where we will be learning about the history of Mexico’s national liquor! The museum will provide music, photographs and items to inspire your recollections of a particular aspect of life related to Liverpool and music. Come along and meet new friends, share memories and enjoy a chat over tea or coffee. This month’s theme is Making Waves – Mersey music in the 1950s. Enjoy a chat and a cuppa with your neighbours over a fun game at our board game evening! Play something new like Rainbow Rush, or stick to the classics like Cluedo: there’s something for everyone to enjoy. Our regular craft club has a scouse twist today – as it’s Global Scouse Day! So come along and create a joint piece of artwork of our amazing city landscape, followed by a scouse-off! Share recipes, tips making on the best scouse, and even try a few different bowls and tell us your favourite. We are halfway through our Winter Wellbeing project, that helps people aged over 65 to stay warm, active, healthy and connected over the winter months. We have small grants (of up to £100) available for people struggling to pay their gas or electricity bills and we can deliver warm items such as blankets, slippers thermal gloves and hats to people’s doors, for free. We can also connect people to other organisations that support older people and signpost them to facilities and activities across Liverpool. If you or anyone you know who might benefit from our Social Clubs or you would like to refer some one to our Winter Wellbeing project, don’t hesitate to give us a call on 0151 659 1789 .